Digital marketing has revolutionised the way small businesses conduct business. Join us Tuesday, 29 March at 19.00 at the Harbour Hotel for the next Online Marketing in Galway (OMiG) event where we will discuss practical tips for digital strategies focussing on start-ups. At the exponential rate digital marketing is evolving, it can be overwhelming for ordinary businesses to determine how to apply it to their advantage. We are delighted to announce two superb speakers for this event who will present some of the challenges and solutions behind digital marketing strategies: Anna Byrne, Head of Marketing at cloud and telecoms provider Magnet and Gene Murphy, Entrepreneur in Residence at Bank of Ireland. Anna is a content marketing enthusiast and is currently carrying out research on the topic with the Digital Marketing Institute. 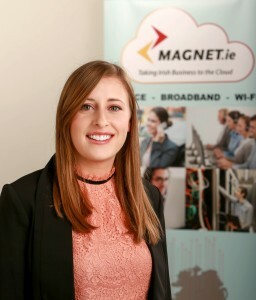 Anna regularly speaks at the Irish Internet Association events nationally and is working closely with Chambers of Commerce throughout Ireland to help distribute valuable SME research being carried out by Magnet. Anna will present “Practical Tips to Kickstart Content Marketing”. Gene Murphy is the co-founder of Startup Ireland, which is a grassroots network connecting the rapidly evolving communities which support the Irish start-up ecosystem. 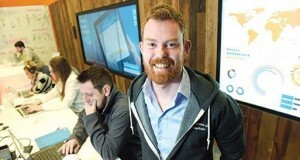 BOI startlab, powered by Bank of Ireland, is an incubator programme built from the ground up to educate, connect and scale tech startups. Each programme runs for a six month period where startups meet with the principal speakers, coaches and mentors to help grow and scale their company. Gene will present “Building a Better Business Eco-System for Galway”. Tea and coffee will be sponsored by Magnet after the presentations when there will be further opportunity to continue the discussions. The event has a limited amount of free tickets and remaining tickets range from €2.50 – €5 with early booking advised via here. We are delighted to announce that for 2016, our monthly events are powered by Bank of Ireland. This assists with OMiG running costs all year around, from promotion costs to development costs. OMiG aims to stay up to date and keep you up to date with the latest digital marketing trends by bringing together proven thought leaders to discuss, debate and evaluate. For more on Online Marketing in Galway see www.galwaymarketing.ie.